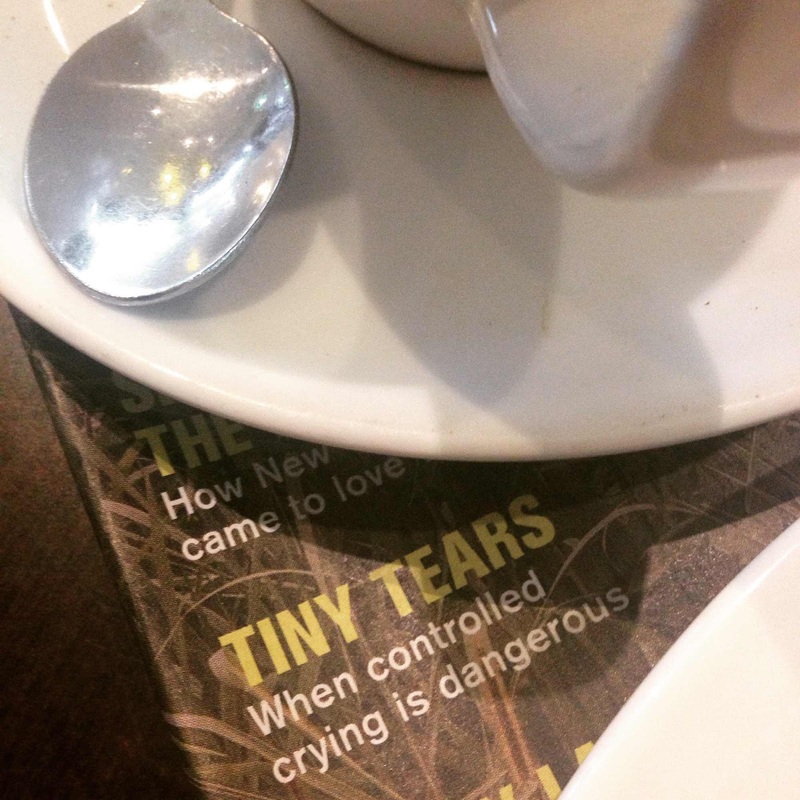 Sydney Shop Girl: Controlled Crying. Muffin Mania. The Great Indoors. Controlled Crying. Muffin Mania. The Great Indoors. 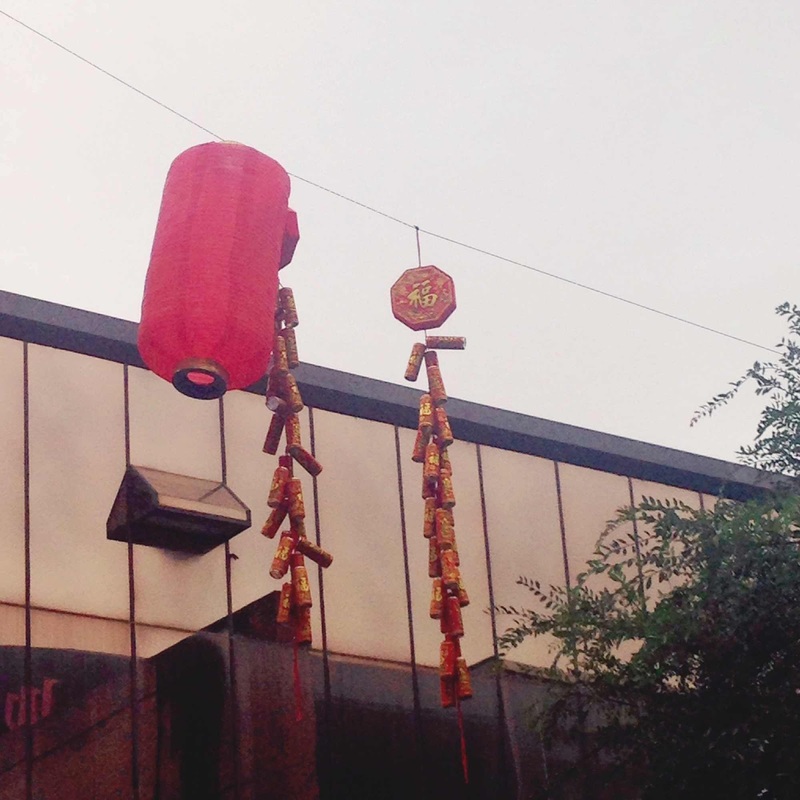 These fire crackers and lantern were just about the only bright things in the sky today. As the clouds continued to gather, it became pretty clear that it was going to be one of those indoor and brooding kind of Saturdays. Did your Saturday supplement carry this article about controlled crying? 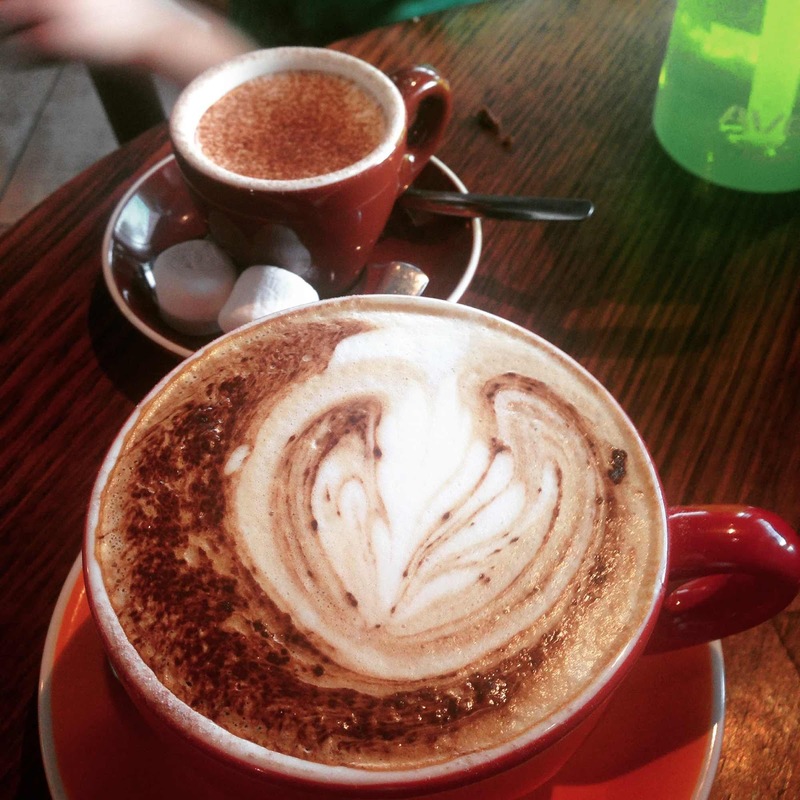 It was perfect Saturday morning breakfast at a favourite cafe reading. There were the usual case studies on people who'd tried it with varying success, reference to all the big (as in best selling) names in controlled crying literature and perhaps what made the article most interesting to me, interviews with people who were actually well versed in the current evidence base for controlled crying. As informative as the article was, I have to admit that this was the most memorable quote from the article for me, "he has that trait particular to doctors of looking extremely clean: clean hands and fingernails, a very clean ear as he turns to order from the cafe waiter". The journalist was describing Howard Chilton, a paediatrician based in Sydney who was the director of neonatal unit at the Royal Hospital for Women from 1978 - 2000. As I look down at my unmanicured nails chopped down to the quick and the skin of my hands that's gone a bit shiny and leathery (in looks and feel) from having the oil leached off it from constant handwashing and glove wearing, I guess I can sort of see what the journalist was alluding too in her description. Actually, let's call a spade a spade. I've got pleather hands. But back to the article. The messages that I came away with reflect what I have come to believe after attempting controlled crying half heartedly (I couldn't bear the crying from both of us) and after a couple of trips to sleep school (thumping the mattress next to Baby SSG to get him to sleep made me more tired than him). Controlled crying seems to work for some babies over the age of six months and not for others. There isn't a good system to predict who will respond and who will not. And that longitudinal studies haven't been able to show a sustained ' benefit' on sleep hygiene in those that were control cried versus those who were not. But there are a couple of facts that are indisputable. That before six months of age, babies don't learn to self settle with controlled crying, they just 'extinguish', which means, in the words of Dr Chilton, 'the baby just gives up'. And that by the age of twelve months, one's ability to regulate stress and establish keys to resilience such as self worth and a sense of security have pretty much been set up for life. However, family life isn't just about baby. Controlled crying in older infants where parents are on the brink can be an option. Parents are more confident with their child as they get closer to a year old and when you can sense there's a bit of rebellion and pushing of boundaries emanating from your child in the manner of The Force, you tend to feel better about fighting back a bit. 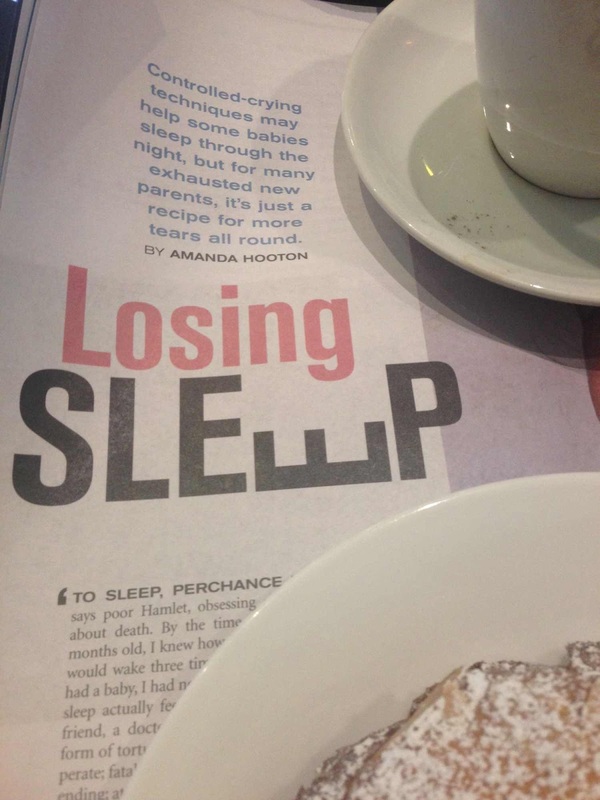 The one thing that we all forget though, is that in the context of the 18 years or so that you'll be raising your child in a 'hands on' manner, the months of crying and fragmented sleep is "really, really short" as Dr Chilton advises in the article. It is true yet it is possibly the last thing you want to hear when you're in the midst of it personally. But it is true and there will be greater parenting challenges to follow. 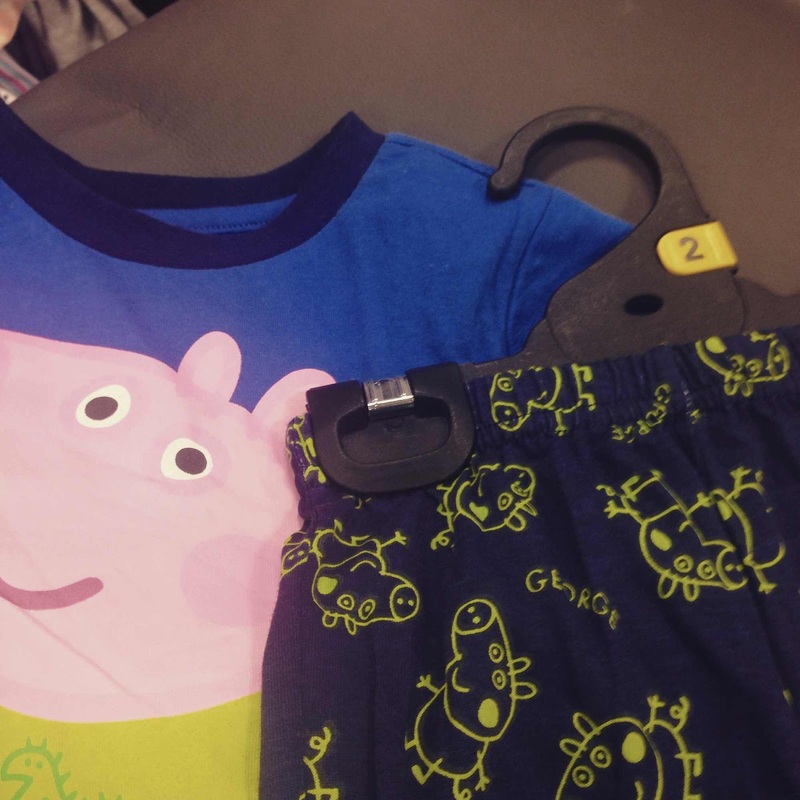 George PJs - for a mere $7 today from my good friends at Target boys sleepwear. I'm sitting here blogging as Toddler SSG sleeps soundly (in those new Target jammies) after putting himself to bed. He will now mostly sleep through the night but even if he does the 2am and 4am wake ups, they're both easily managed with a pat on the back. Which is just as well because we both need all our sleep to face the days in the life of spirited and active toddlers who are at that very frustrating age of knowing what they want, knowing sort of how to get it but not being able to tell anyone what it is they want or how they are feeling. Except in whines or shrill screams. One of my 'doctor hands' holding the first patty case tube I've emptied in my life. 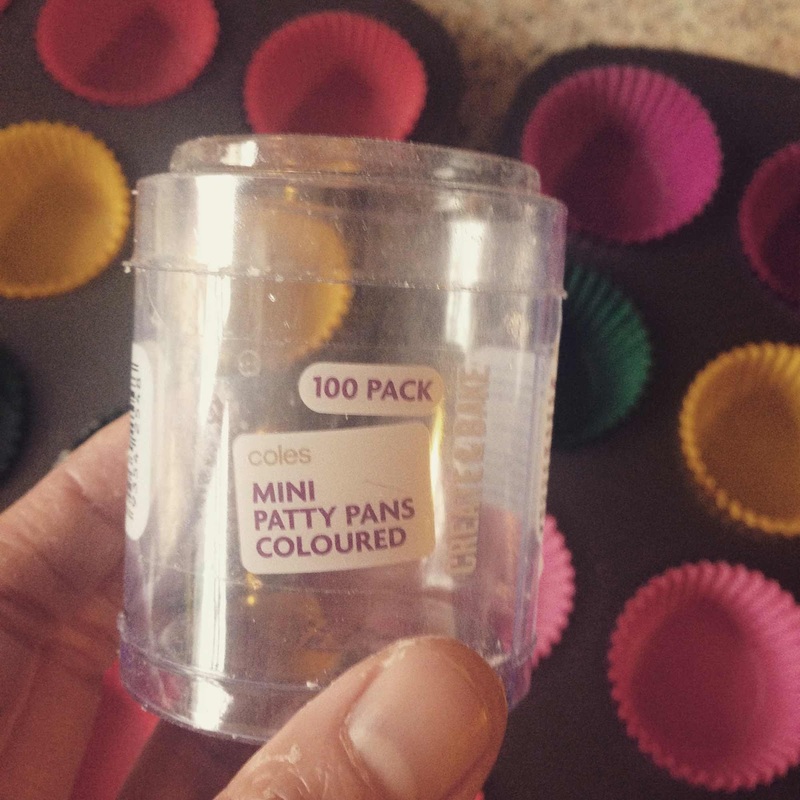 Aside from mulling over the controlled crying article, I've somehow managed to finish off a 100 pack tube of mini patty pans. 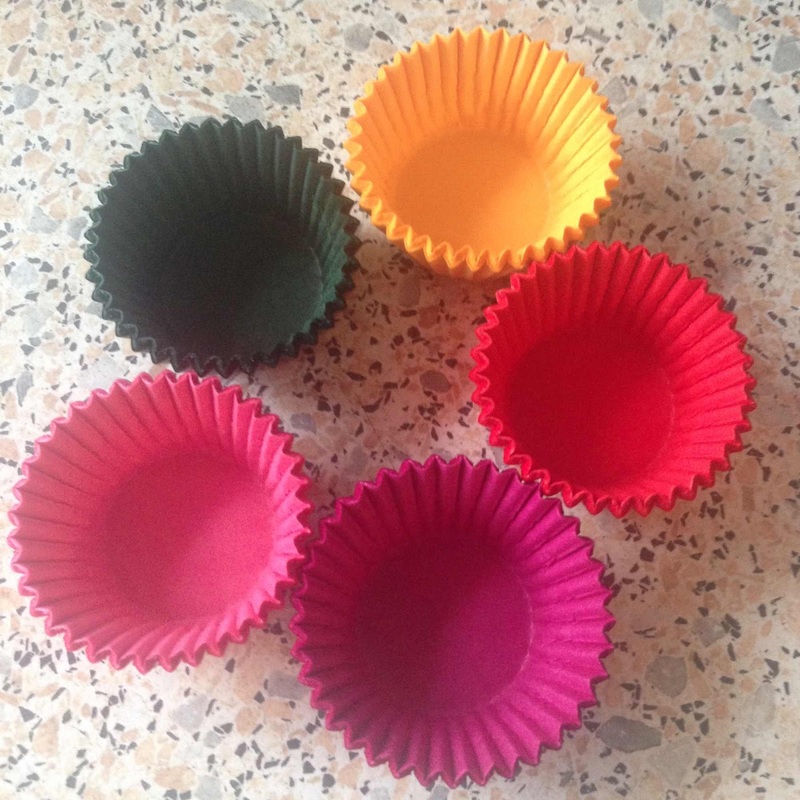 It all started on Tuesday when I discovered the power of the patty pan lined mini muffin tray. It's like magic. 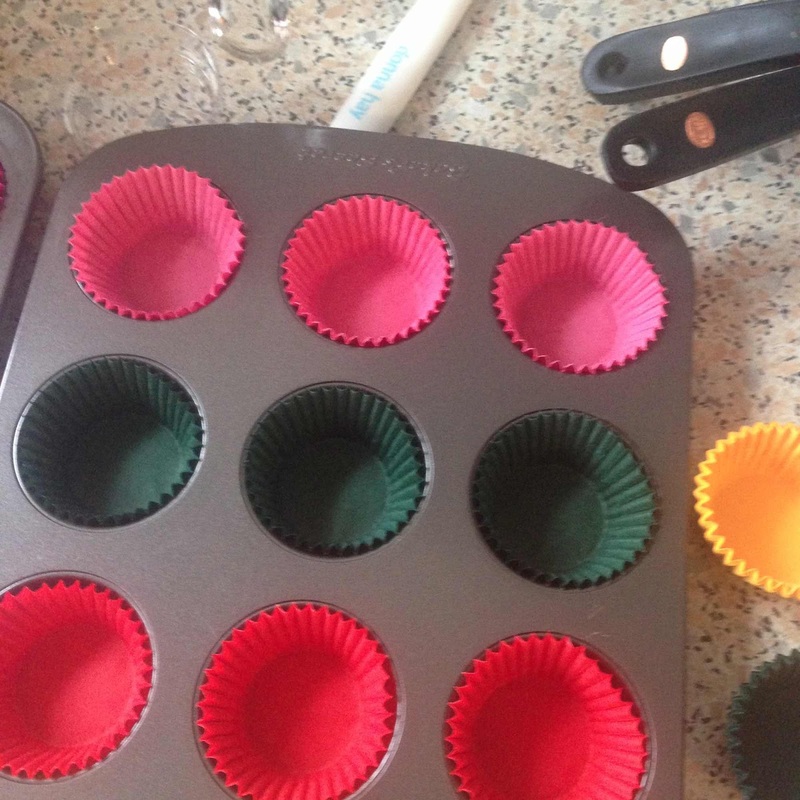 Your muffins really do depan perfectly when they're baked in a lined tray. Who would have thought? My days of overbaking to try and get a crust thick enough to make depanning easy are over. Hello lightly textured, soft muffins!!!!! 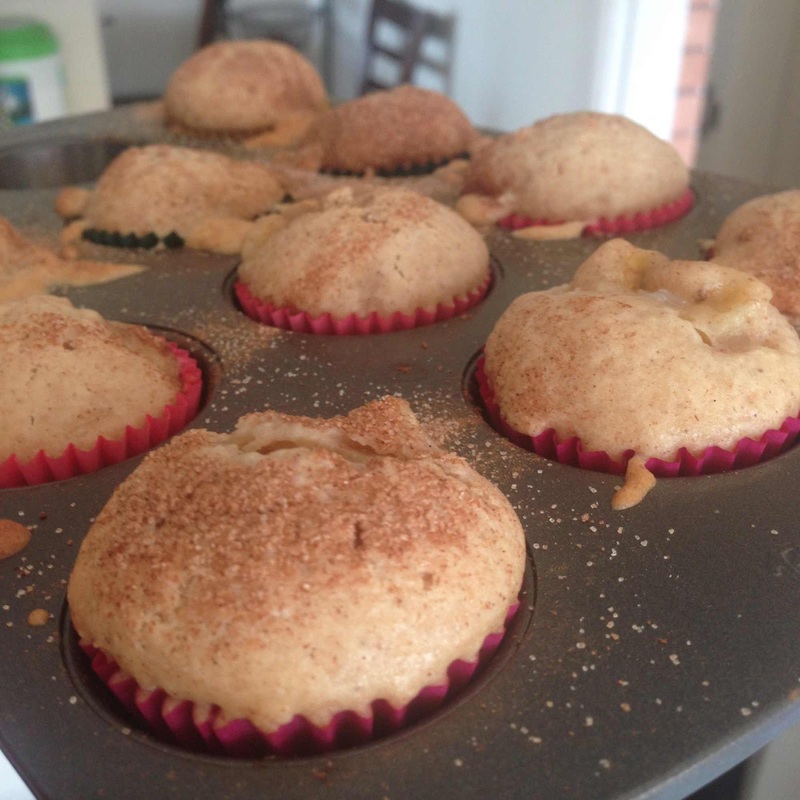 Since that moment of enlightenment, I've been baking muffins non stop. 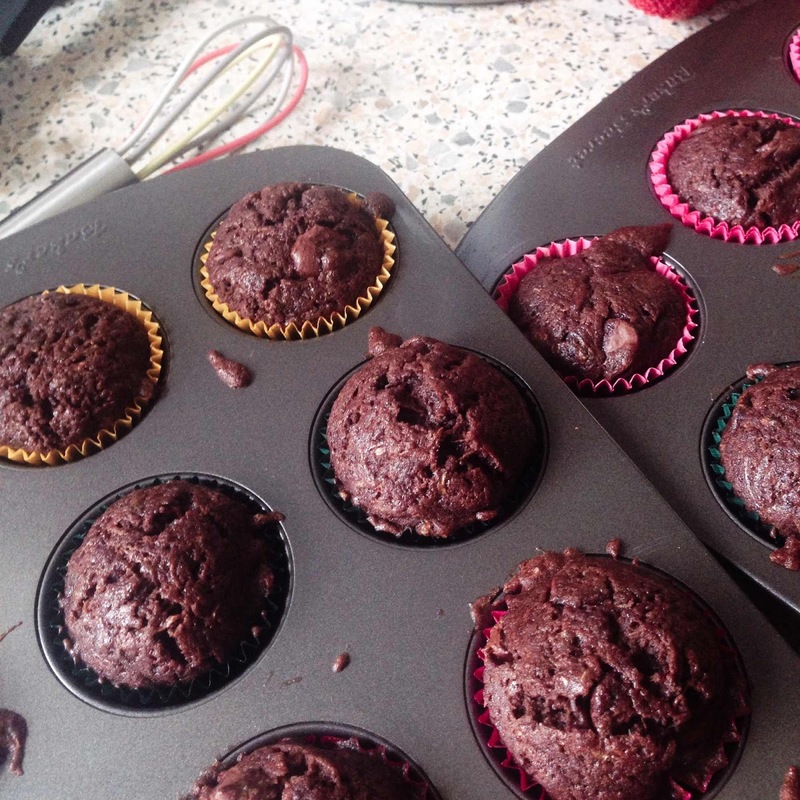 There's been a batch of chocolate and zucchini muffins. Look at all those hidden vegetables. And in chocolate, no less. 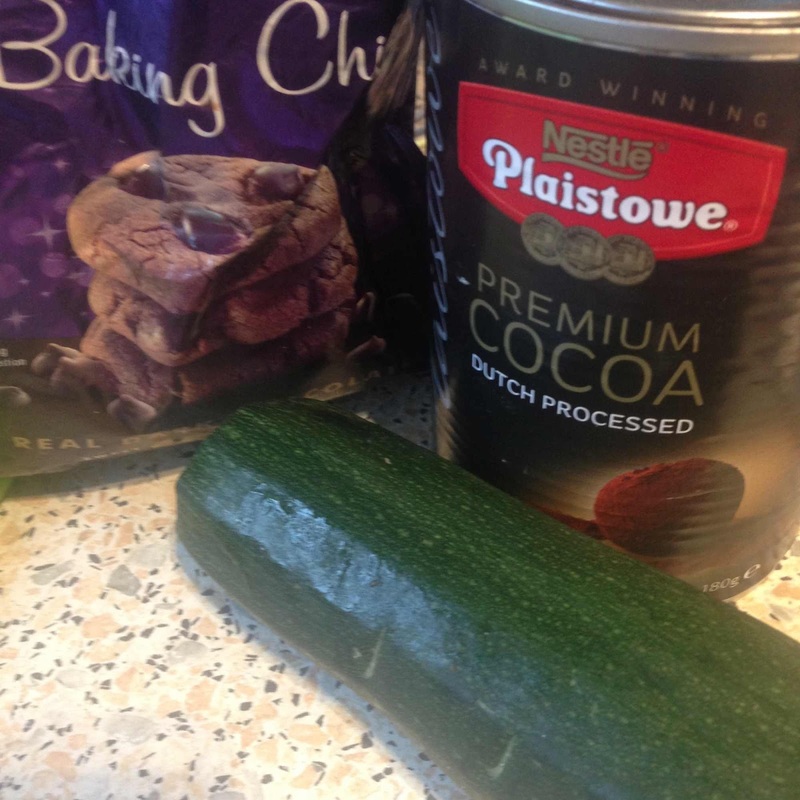 Every last strand of chocolate coated zucchini was eaten at morning tea. 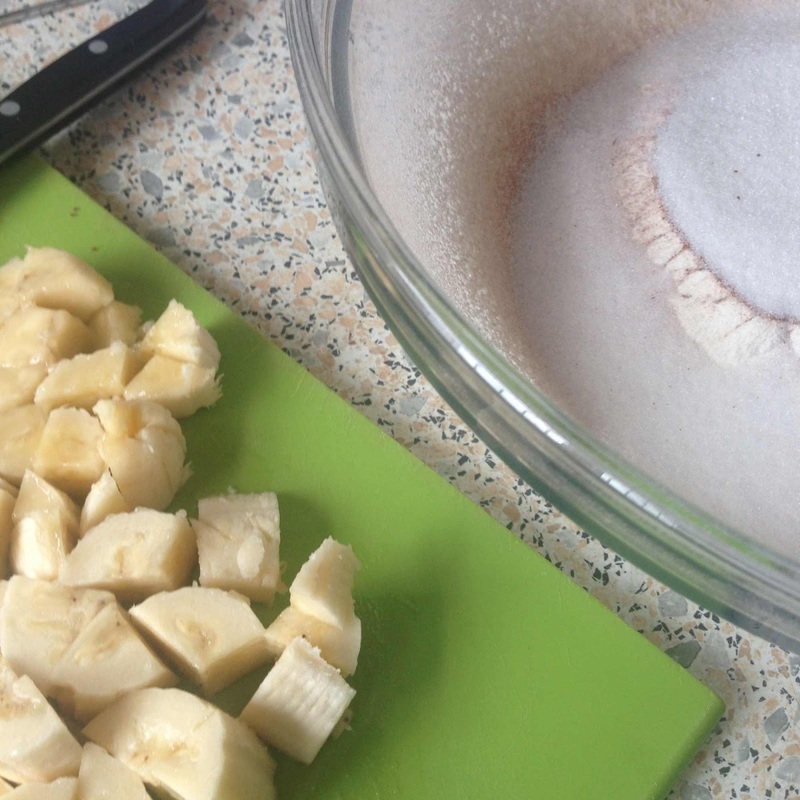 Then I tried my hand at Donna Hay's sour cream based muffin recipe from Modern Classics. These were my favourite, texture wise. They were so aerated and moist and rose to perfect domes. 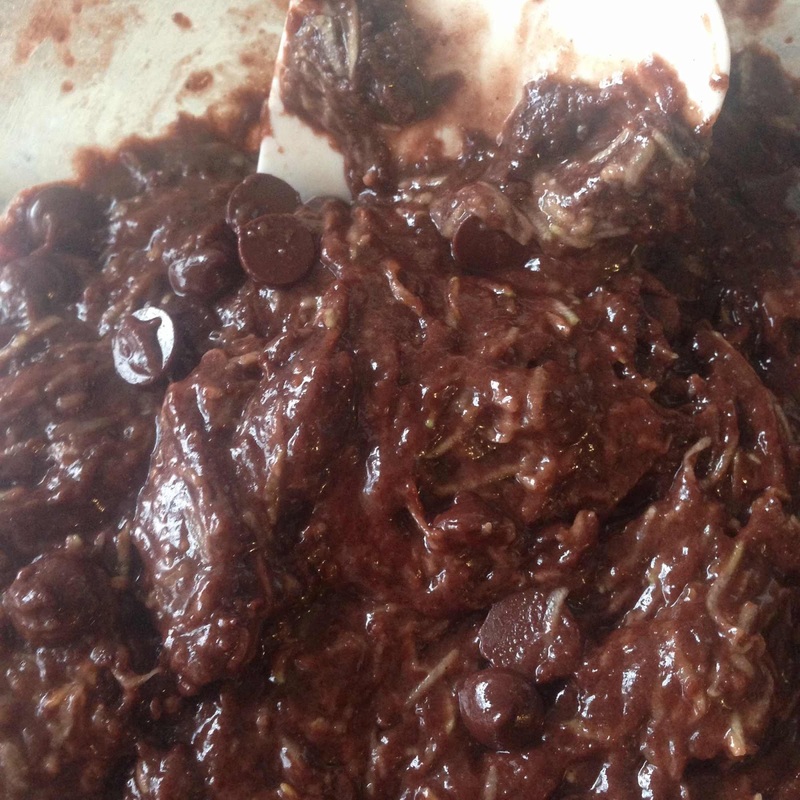 And my last batch were based on a basic muffin recipe from the AWW. 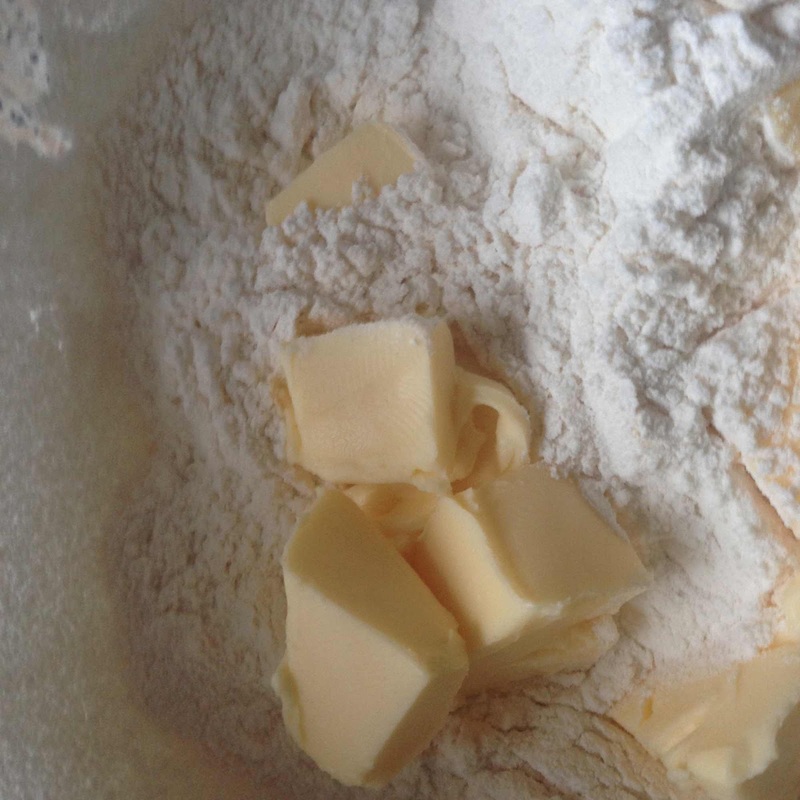 You begin by crumbing butter into your self raising flour before adding the buttermilk, sugar and eggs. 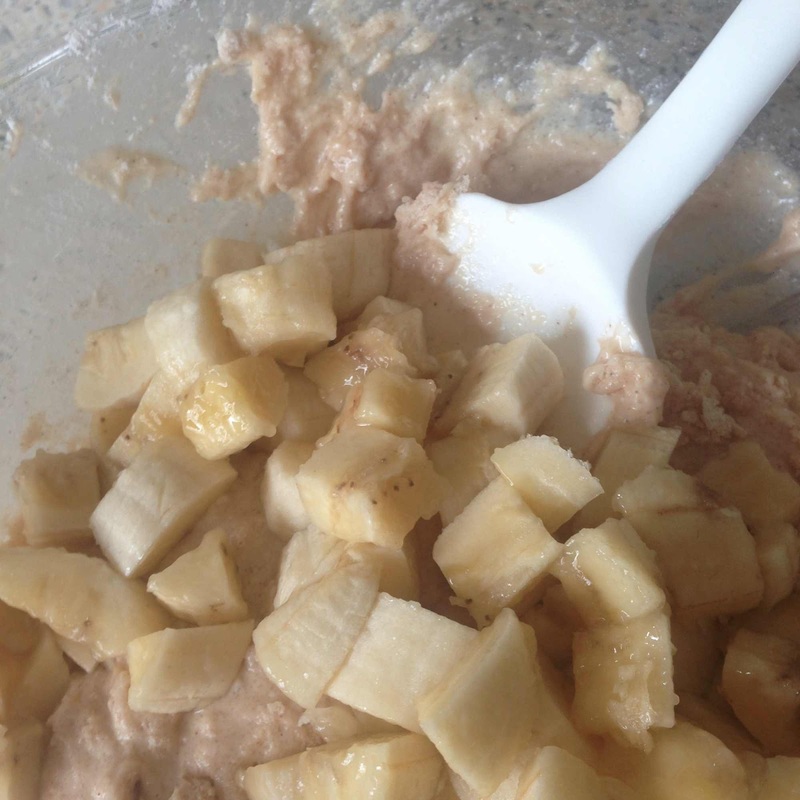 I added over ripe banana and pear to these muffins. 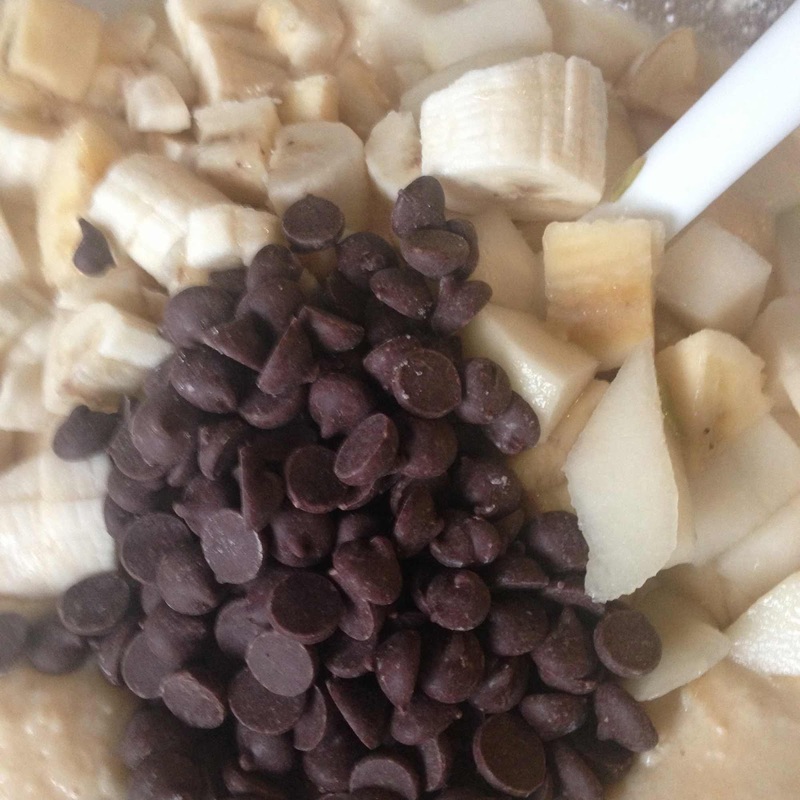 And some chocolate chips. The AWW recipe makes a cakey muffin. They don't rise as high as some other recipes but they're a nice comfort food, taste of home kind of affair. 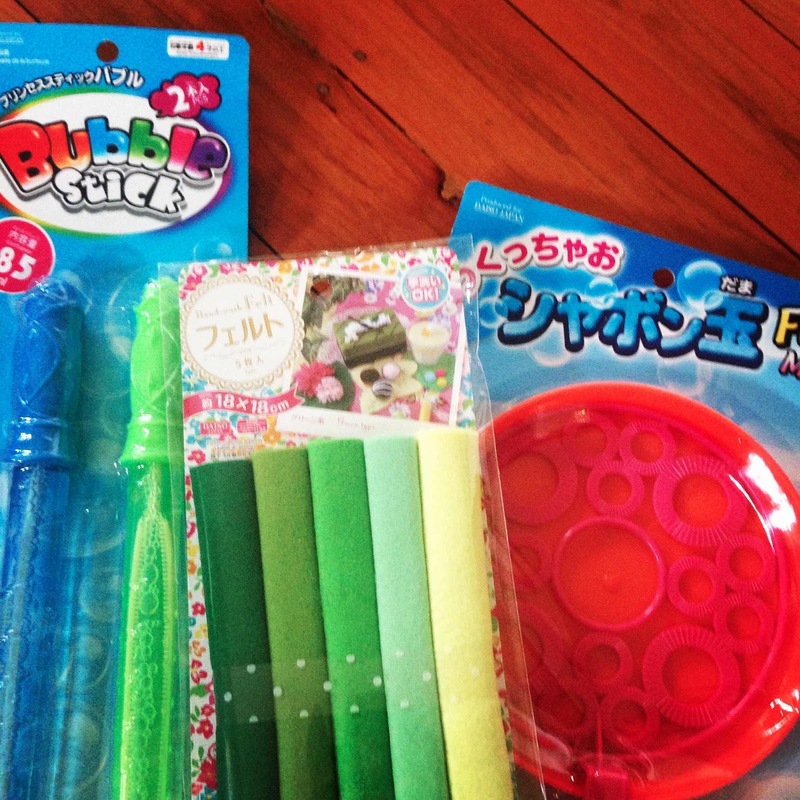 The great indoor have been made a bit more bearable for Toddler SSG with these finds from Daiso. I really rate the bubble wands. The wands are short and sturdy, easy for toddlers to handle while the bubble mixture makes perfect, non watery bubbles. The squares of green felt are for a colour matching exercise a family friend told me about. 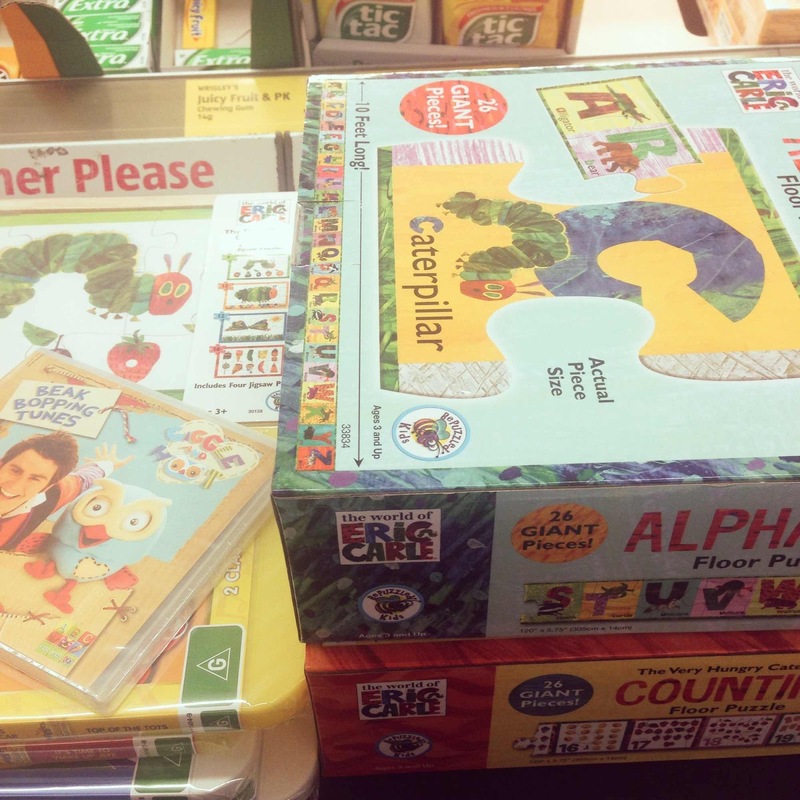 The exercise is as follows: buy swatches of green, take to park, match swatches to different green things you see there or vice versa. My family friend is a man of few yet precise words. I'm planning to try them out at the park. There's lots of green there, we'll be busy for hours. And we also got a few mini 'spiky' balls. Not in the photo because Toddler SSG was bouncing them off a wall and shouting 'ball' and 'throw' interchangeably as he did so. A trip to Aldi earlier this week provided the rest of our essential supplies for a day in. 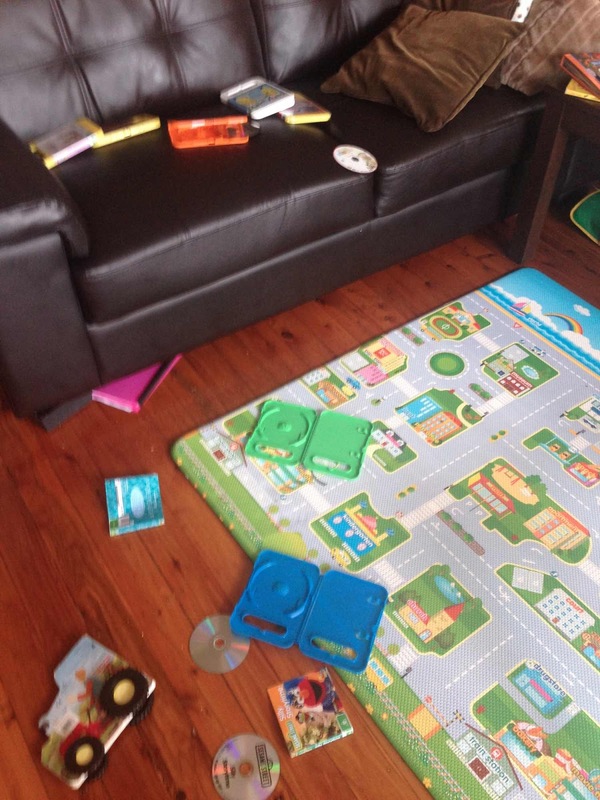 The floor puzzles are working well because they 'puzzle' bit only goes in one direction which makes it easier for Toddler SSG to stay interested in what's going on. About the only thing I didn't buy at Aldi was this week's special buy of the gel nail kit. Have you tried it? On account of my needing to maintain journalist defined 'clean looking' doctor looking pleathery hands, I've managed to talk myself out of getting it. But I'd love to live vicariously through you. I have nothing but the highest respect for mothers. With so little energy in their storage reserves, they can still cook and clean and juggle the kids and in your case, even take the time out to blog too!